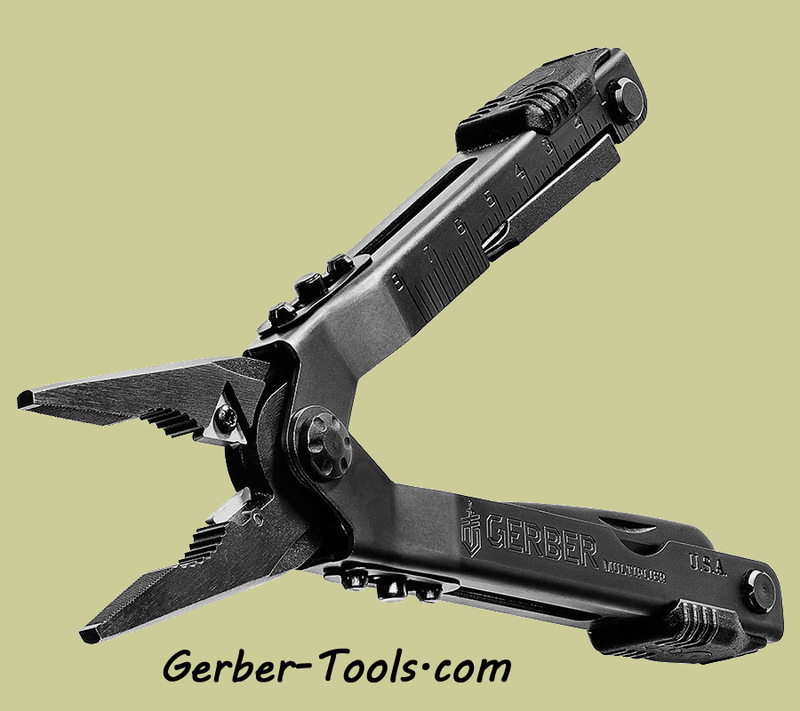 Gerber Multi-Plier 600 (Sight Tool), Black, Sheath 30-000588. This updated version of the MP600 series features a longer Phillips driver, a serrated/fine edge blade, a carbon scraper for maintenance, and a front sight adjustment tool. 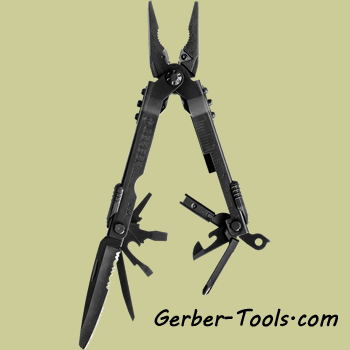 Needle nose pliers with carbide cutters in the head. 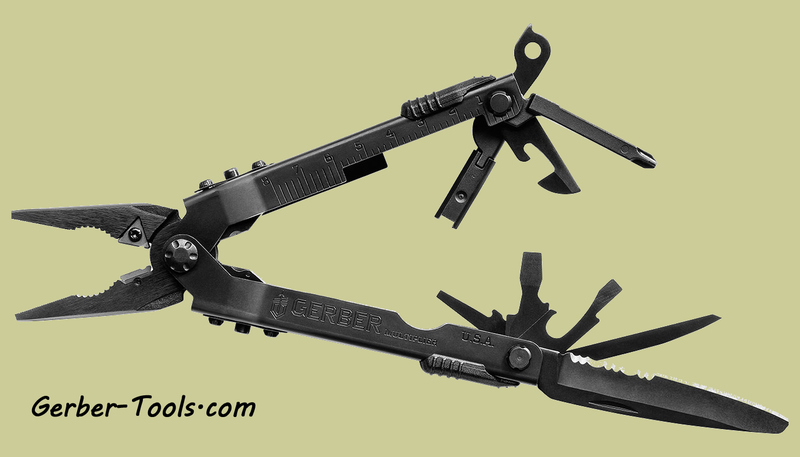 Comes with a black nylon sheath. 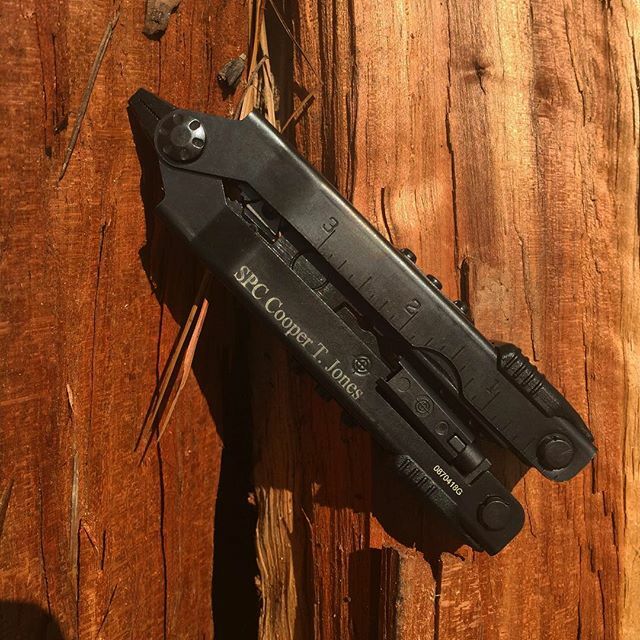 Black oxide coating. The handles have an inch and millimeter ruler. It has a closed length of 5.04 inches. Tools inside: Long reach philips screwdriver, Small, medium, and large flat blade screwdriver, needle and regular pliers, Saf.T.Plus locking knife and tools , can opener, bottle opener, wire crimper, tungsten carbide insert cutters, lanyard ring (within), carbon scraper, M4/M16 front sight post adjustment tool, and Serrated/Fine edge knife. Made in the USA.